Lois Lerner, the controversial director of the tax-exempt organizations division at the Internal Revenue Service, has a long sordid history of targeting conservatives. Under her leadership, the IRS created a special unit to target pro-military donors who supported the Surge in Iraq… Because the winning Bush strategy in Iraq hurt Democrats. At the same time the Internal Revenue Service was targeting tea-party groups, the tax agency took the unusual step of trying to impose gift taxes on donors to a prominent conservative advocacy group formed in 2007 to build support for President George W. Bush’s Iraq troop surge. 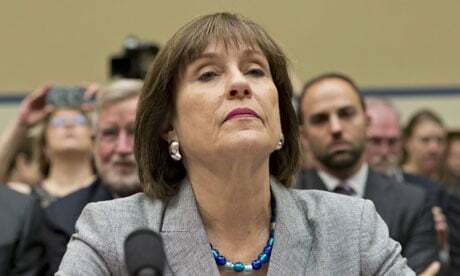 The probe of the group, Freedom’s Watch, began in the unit led by Lois Lerner, the IRS official already under scrutiny for her role in the more recent targeting of conservative groups. While the IRS confirmed the existence of the gift-tax initiative in 2011, the identity of the group involved—as well as the affiliation of individual donors—remained a mystery. Former officials of Freedom’s Watch say they believe all five of the IRS audits involved donors to their group, based on conversations with IRS agents and donors at the time of the audits in 2011. The IRS declined to comment, citing taxpayer confidentiality. The gift-tax probe, after it became public in 2011, prompted an outcry from Congress and was quickly halted. The now-defunct Freedom’s Watch, which operated with a budget of about $56 million during its roughly two-year existence, spent about $10.7 million on issue ads in 2008, including television ads during special elections for House races in Louisiana and Mississippi. Such groups, which are organized under section 501(c)(4) of the tax code, are allowed to engage in some political-campaign activity, as long as that isn’t their primary focus. They also don’t have to disclose their donors’ identities.